Vienna is currently experiencing annual population growth of 9.4 per cent per annum. The city is an exemplar in forecasting, developing and delivering policies to deal with rapid population growth, in particular the pressures on urban infrastructure (public transport, housing, etc) and community cohesion. Vienna needs to create 130,000 new residential units, with a wider range of typologies, by 2025 to accommodate projected population growth. It is doing so through a mixture of renovation of existing older housing, densification of existing housing areas and creation of completely new neighbourhoods like Aspern Seestadt. The quality of the housing, community facilities such as schools, leisure facilities and play-spaces and the living environments in new neighbourhoods was exceptional. At least half of Vienna’s population growth is comprised of economic migrants and refugees from the east and south east of Europe. A key challenge for the city is accommodating and assimilating these newcomers as quickly as possible. Initiatives such as Horizon 2020 are focused on building community cohesion and best practice in sustainable neighbourhoods in disadvantaged areas that are undergoing rapid demographic and cultural change due to immigration. The city’s current ‘Smart City Wien Framework Strategy to 2050’ is a legally-adopted programme that allows for constant goal realignment through clear governance and monitoring arrangements. This is supplemented by an urban development plan (STEP Plan) to 2025 that sets out the proposed spatial development of the city in line with the Smart City strategy. That said, the city had also left enough flexibility in these frameworks to test theories or new ideas in an open-minded fashion. The municipality has 30,000 employees, but also around 80 delivery companies that are private, but either 100 per cent owned or majority-controlled by the municipality. One of these wholly-owned arms-length organisations is ‘TINA Wien’, which acts as the city’s strategic think-tank and internal objective consultancy. It has a collaborative leadership mandate directly from the mayor, but delivers via Service Level Agreements (SLAs) with municipal departments and associated agencies. It is clearly effective and well regarded, and would make an interesting case study. Vienna is the capital of Austria, with a population of 1.87 million people, a metropolitan population of 2.6 million and area of 415 sq km. It is the seventh largest city in the European Union. It is located in northeast Austria, at the eastern edge of the Alps, with the Vienna Woods (‘Wienerwald’) on its western edges providing a backdrop to the city. 50 per cent of land within Vienna’s boundaries is green space, and the city has adopted a strategy of maintaining this level despite needing to deliver considerable new development to accommodate population growth. The city’s roots lie in early Celtic and Roman settlements along the River Danube. The city developed during mediaeval times, and in 1440 became the seat of the Habsburgs and the centre of the Holy Roman Empire. The ‘Donaukanal’ was created by canalising the flood-prone southern arm of the River Danube in the late-1600s. During the Napoleonic Wars in the early 1800s, Vienna became the capital of the mighty Austro-Hungarian Empire, and remained as such until the end of WWI when the empire was split. The historic centre of Vienna is rich in architectural ensembles, including the original mediaeval city, and the 19th century Ringstrasse – created from redundant defensive military sites – lined with well-maintained grand buildings, monuments and parks. Its urban structure has a classic monocentric layout, with a series of radial routes and concentric ring roads – the innermost being the Ringstrasse. The city’s cathedral, Stephansdom, forms the archetypal ‘axis mundi’ at the heart of the city. There is a very clear, densely-developed urban block structure at a consistent height of six-to-eight storeys. The city is modernising inner city neighbourhoods and infrastructure too: for example a former area of redundant railway sidings and warehouses had been a redeveloped into a new neighbourhood called ‘Sonnwendviertel’, centred on a new main railway station for the city, with over 100 retail units over 200,000 sq ft. Although this scale means that there are long walking distances between some modal connections and orientation is not easy. In 2001, the city centre was designated a UNESCO World Heritage Site due to its wealth of outstanding buildings and parks, which are mainly from the 18th & 19th centuries. However, in mid-2017, it was moved to the ‘World Heritage in Danger’ list due to concerns around the height of proposed developments and adverse impact upon the “outstanding universal value of the site”. Volume and speed of traffic, plus associated pollution, is also a threat. In the late 20th century, Vienna become an ageing city with a shrinking population but now its population is growing rapidly, currently at 9.4 per cent per annum, making it the fastest-growing German-speaking city in the world. This has been due to a combination of inward migration from rural Austrian provinces and from south east of Europe, plus refugees from areas of conflict, like the Middle East. Growth has been faster than predicted for the past three to four years. As a result Vienna is now home to almost 25 per cent of the entire population of the country; and a third of the population is aged under 30. By 2050 the population is due to reach at least 2.2 million. The city is actively trying to encourage young professionals and young families to stay in the city and raise their families there, rather than move out to the suburbs as has been the usual pattern up to now. The city needs to build an additional 130,000 new residential units by 2025 to accommodate this growth, with a greater diversity of housing options than available at present. It is aiming – and is on target – to achieve this is by investing in developing new infill housing; renovating older housing; and the creation of major new neighbourhoods, such as Aspern Seestadt. This is a 245ha site to the south east of the city centre on a former military airfield, which is planned to have a residential population of 20,000 by 2030 in a high-quality lakeside landscape, with commercial development to create to 20,000 office-spaces. It is key understanding the city’s mindset that the municipality borrowed the funding to construct a new metro line to serve the site before there were any residents or even development onsite, as well as creating schools and kindergartens that will not be fully occupied for several years yet. They have also subsidised retailers taking up residence in the neighbourhood for the next 12 years, which is when footfall is projected to reach a level of viability for those retailers. The quality of the housing in Aspern Seestadt is exceptional, with social and private housing blocks being undistinguishable from one another. The naming of all main streets after unheralded but pioneering women in science, philosophy, literature and the arts was a noteworthy touch. Vienna is one of the wealthiest regions in the European Union, with a GDP 47,200 Euros per capita, which is 159 per cent of the EU average and over 25 per cent of Austria’s GDP. In 2015 it was ranked as the ninth most economically powerful city in the world. Its service sector is particularly important, with a GVA of 85.5 per cent. R&D is also a major sectoral strength for the city, with over 25 public and private research institutions and almost 300 international biotech, pharma and medtech companies – accounting for over 35 per cent of all R&D investment in Austria. 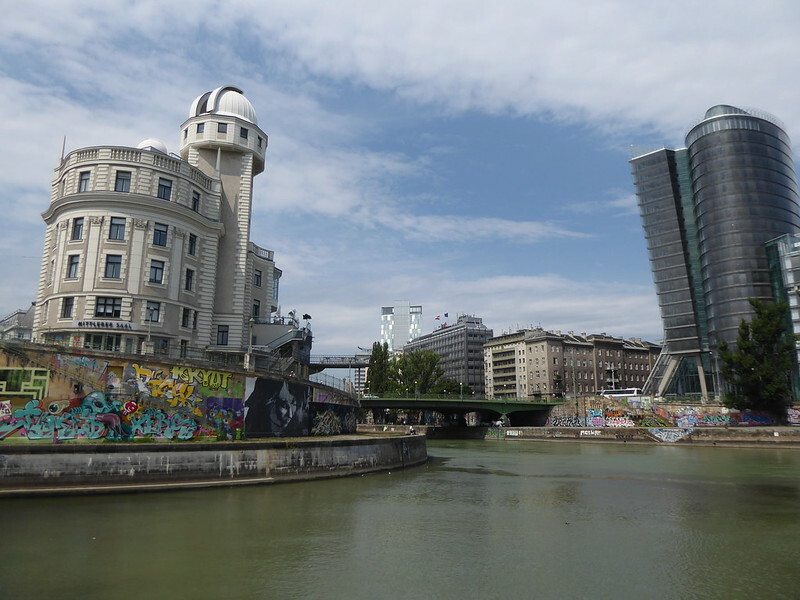 Vienna has had a growing strength in IT with the opening up of former Soviet Bloc states, and has recently developed as a major centre for the digital, communications and new media. It is now ranked as the sixth most important digital start-up city in the world. Vienna is renowned for its quality of life, and is regularly ranked highly in various indices, including first place in Mercer’s ‘Quality of Living’ from 2009 to 2016. Projects like WAALTeR, Horizon 2020 and Sag Wien were good examples of initiatives of improving the ‘soft’ quality of life for citizens to meet the policy objective to “leave no-one behind”. Education is another important driver of social cohesion and equality of access to work for the city too: all children from three to six years old are guaranteed a free full-time kindergarten space, with those under three guaranteed a 50 per cent subsidy. Initiatives like Digital City Wien – a public/private/HEI collaboration – encourages development of digital skills and related commercial activity via dedicated programmes in schools; encouraging women to consider careers in IT; and ‘industry meets makers’ forums to connect digital innovators with potential product development/use partners, and hence harness locally-based know-how rather than take it from overseas. The city also attracts almost seven million tourists a year, largely driven by its history as ‘City of Music’ and associated architectural treasures. However, the rapid population growth, and dominance of the car and associated pollution in the urban environment, is putting pressure on that quality of life. Since 2012 it has invested heavily in public transport to try to break the population’s attachment to cars. An annual unlimited travel card now only costs 365 Euros, even less for under-21s and over-60s. But whilst 50 per cent of the population have an annual travel card, public transport use between 2011 and 2017 only increased by three per cent to 39 per cent. In the same period car usage did decline, but only by 5 per cent (to 27 per cent). There has also been a cycling strategy put in place, but it was very noticeable how few cyclists there were in the city. The city has an ambition to reduce modal split car usage to 20 per cent by 2020 and 15 per cent by 2030, which may be difficult to achieve if progress to date is anything to go by. The city’s cultural attachment to private cars also adversely impacts upon pedestrian-friendly environments, permeability and the setting of major urban keystone buildings. The city has a strategy to deal with traffic within the Ringstrasse, prepared by Gehl Architects, with a phased approach to improving the quality and balance of public realm and reducing space given over the highways. And there have been some major improvements in the city centre – for example Mariahilferstrasse through the main retail area, which had been de-trafficked and made pedestrian-priority – but the amount of space given over to vehicles as compared to pedestrians is significant. But the city feels that with current and imminent budget restrictions it may not be able to implement the proposed phases beyond 2020. The city recognises that this is an issue, and that it needs to improve its tactics, skills and experience in encouraging private land and property-owners to invest in improving their frontages and curtilages, either jointly with the city or by themselves.